The UsuryFree Eye Opener: Who Runs The World? "Does a shadowy group of obscenely wealthy elitists control the world? Do men and women with enormous amounts of money really run the world from behind the scenes? The answer might surprise you. Most of us tend to think of money as a convenient way to conduct transactions, but the truth is that it also represents power and control. And today we live in a neo-fuedalist system in which the super rich pull all the strings. When I am talking about the ultra-wealthy, I am not just talking about people that have a few million dollars. As you will see later in this article, the ultra-wealthy have enough money sitting in offshore banks to buy all of the goods and services produced in the United States during the course of an entire year and still be able to pay off the entire U.S. national debt. That is an amount of money so large that it is almost incomprehensible. Under this ne0-feudalist system, all the rest of us are debt slaves, including our own governments. Just look around - everyone is drowning in debt, and all of that debt is making the ultra-wealthy even wealthier. But the ultra-wealthy don't just sit on all of that wealth. They use some of it to dominate the affairs of the nations. The ultra-wealthy own virtually every major bank and every major corporation on the planet. They use a vast network of secret societies, think tanks and charitable organizations to advance their agendas and to keep their members in line. They control how we view the world through their ownership of the media and their dominance over our education system. They fund the campaigns of most of our politicians and they exert a tremendous amount of influence over international organizations such as the United Nations, the IMF, the World Bank and the WTO. When you step back and take a look at the big picture, there is little doubt about who runs the world. It is just that most people don't want to admit the truth. The ultra-wealthy don't run down and put their money in the local bank like you and I do. Instead, they tend to stash their assets in places where they won't be taxed such as the Cayman Islands. According to a report that was released last summer, the global elite have up to 32 TRILLION dollars stashed in offshore banks around the globe. U.S. GDP for 2011 was about 15 trillion dollars, and the U.S. national debt is sitting at about 16 trillion dollars, so you could add them both together and you still wouldn't hit 32 trillion dollars. Rich individuals and their families have as much as $32 trillion of hidden financial assets in offshore tax havens, representing up to $280 billion in lost income tax revenues, according to research published on Sunday. The study estimating the extent of global private financial wealth held in offshore accounts - excluding non-financial assets such as real estate, gold, yachts and racehorses - puts the sum at between $21 and $32 trillion. The research was carried out for pressure group Tax Justice Network, which campaigns against tax havens, by James Henry, former chief economist at consultants McKinsey & Co. He used data from the World Bank, International Monetary Fund, United Nations and central banks. But as I mentioned previously, the global elite just don't have a lot of money. They also basically own just about every major bank and every major corporation on the entire planet. When the team further untangled the web of ownership, it found much of it tracked back to a "super-entity" of 147 even more tightly knit companies - all of their ownership was held by other members of the super-entity - that controlled 40 per cent of the total wealth in the network. "In effect, less than 1 per cent of the companies were able to control 40 per cent of the entire network," says Glattfelder. Most were financial institutions. The top 20 included Barclays Bank, JPMorgan Chase & Co, and The Goldman Sachs Group. The real menace of our Republic is the invisible government, which like a giant octopus sprawls its slimy legs over our cities, states and nation. To depart from mere generalizations, let me say that at the head of this octopus are the Rockefeller-Standard Oil interests and a small group of powerful banking houses generally referred to as the international bankers. The little coterie of powerful international bankers virtually run the United States government for their own selfish purposes. They practically control both parties, write political platforms, make catspaws of party leaders, use the leading men of private organizations, and resort to every device to place in nomination for high public office only such candidates as will be amenable to the dictates of corrupt big business. These international bankers created the central banks of the world (including the Federal Reserve), and they use those central banks to get the governments of the world ensnared in endless cycles of debt from which there is no escape. Government debt is a way to "legitimately" take money from all of us, transfer it to the government, and then transfer it into the pockets of the ultra-wealthy. The international bankers are "internationalists" and they are very proud of that fact. The elite also dominate the education system in the United States. Over the years, the Rockefeller Foundation and other elitist organizations have poured massive amounts of money into Ivy League schools. Today, Ivy League schools are considered to be the standard against which all other colleges and universities in America are measured, and the last four U.S. presidents were educated at Ivy League schools. 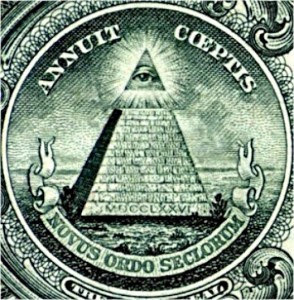 The elite also exert a tremendous amount of influence through various secret societies (Skull and Bones, the Freemasons, etc. ), through some very powerful think tanks and social clubs (the Council on Foreign Relations, the Trilateral Commission, the Bilderberg Group, the Bohemian Grove, Chatham House, etc. ), and through a vast network of charities and non-governmental organizations (the Rockefeller Foundation, the Ford Foundation, the World Wildlife Fund, etc. ).